Let’s be honest, most of us are dealing with some kind of hairy issue and it’s nothing to be embarrassed about. In recent years, permanent hair removal methods such as Intense Pulsed Light (IPL) or laser hair-removal treatments have become popular for their effective yet painless results. However, not everyone is willing to splurge on these costly treatments. This is where tools for hair removal in Singapore come in handy! From shavers to wax strips, the following best tools for hair removal can help you achieve silky smooth skin conveniently. As one of the most commonly used tools for hair removal in Singapore, shavers are affordable and a convenient last-minute solution. Shavers basically slices each hair strand at the skin’s surface while helping to remove dead skin in the process. However, shaving creates blunt strands which can result in thicker and faster hair regrowth than before. 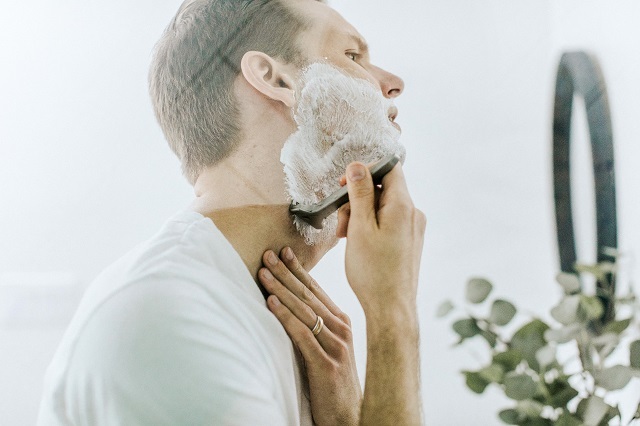 Frequent shaving may also result in ingrown hair. Nonetheless, many are still big fans of shaving as it’s painless and fuss-free! 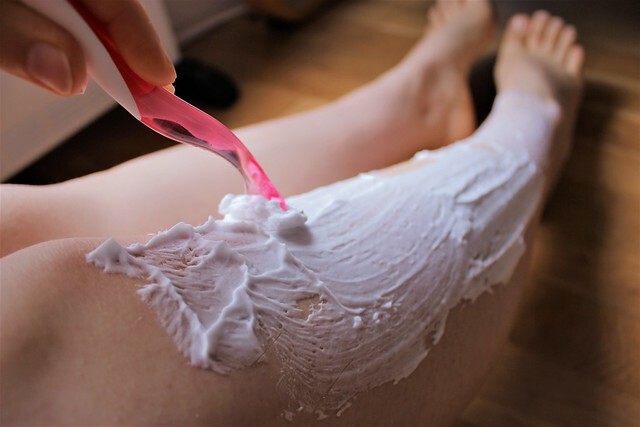 To avoid razor burns, nicks and cuts, remember to use a moisturising shaving cream. Disposable razors are probably one of the most budget-friendly tools for hair removal in Singapore. 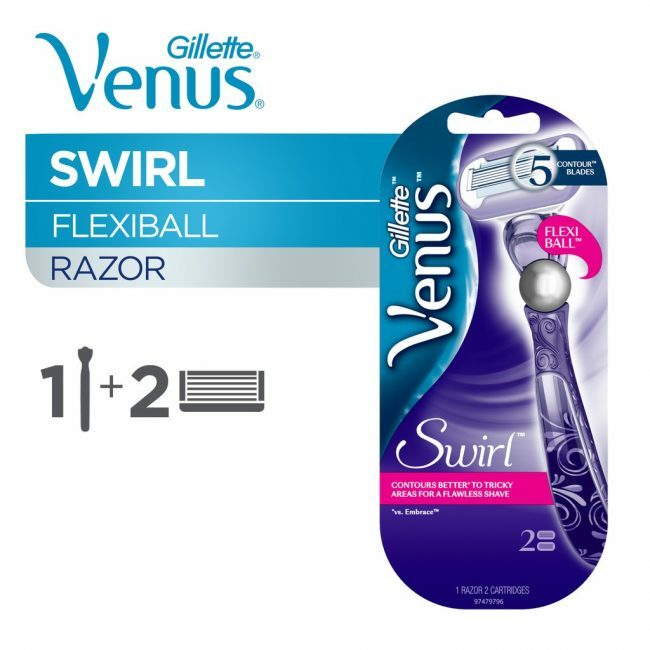 The Gillette Venus Swirl Razor (available on P&G Official Certified Store) is a manual razor that features five contour blades with a flexiball design to achieve a close, clean shave even on tricky areas like underarms and bikini line. What’s more, this disposable razor comes with protective moisture glide ribbons for a smooth shave, leaving the skin feeling soft and supple! Just remember to replace the blades once they’ve gone blunt or you may end up with some nasty cuts! Electric shavers are a great alternative if you’re looking for a more durable tool for hair removal in Singapore! Unlike disposable razors, the blades in electric shavers don’t dull. This means that electric shavers are more cost-effective and environmentally-friendly as they last longer than manual razors. 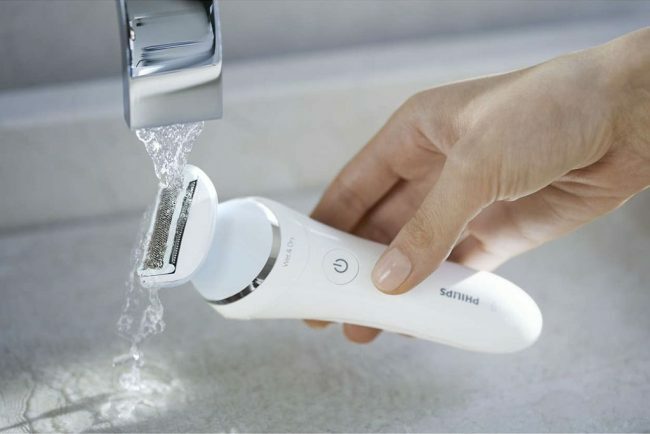 The Philips SatinShave Advanced Wet And Dry Electric Shaver (available on Home Life) is one of the most popular women’s electric shavers thanks to its ergonomic design. Its rounded pearl-tip trimmers prevent blade scratches, providing a comfortable and smooth shaving experience. Most importantly, regrown hair doesn’t feel prickly or irritate the skin! 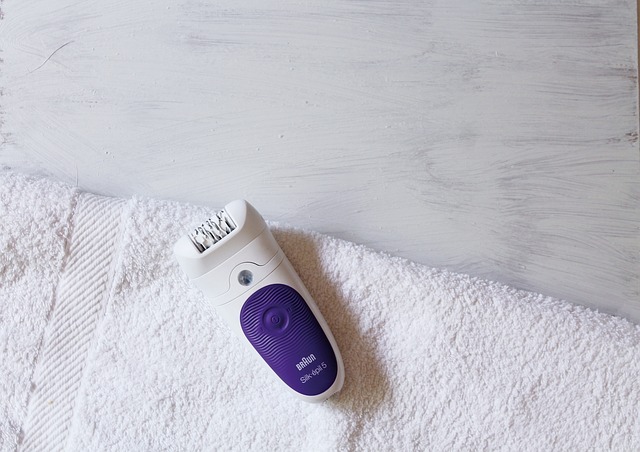 The waterproof shaver can also be used in the shower, making it one of the best hair-removal solutions! Shavers for men share similar pros and cons as those of women’s. However, the main difference lies in the blade design. Men’s shavers usually have a wider blade angle to achieve a stronger cut. This is necessary because men’s hair is generally thicker than women’s hair. Gillette is one of the most famous hair removal brands in Singapore. 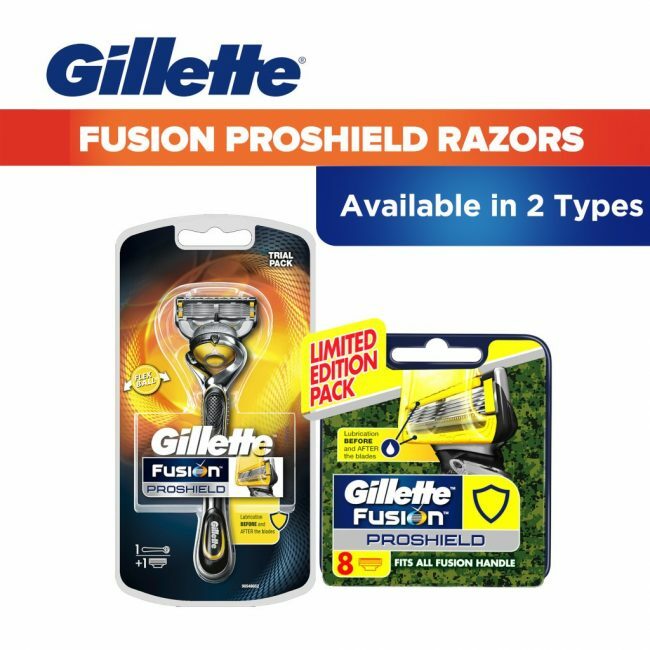 The Gillette Fusion Proshield Chill Razor (available on P&G Official Certified Store) is equipped with an advanced cartridge which boasts an all-around lubrication strip to minimise skin irritation while you shave. 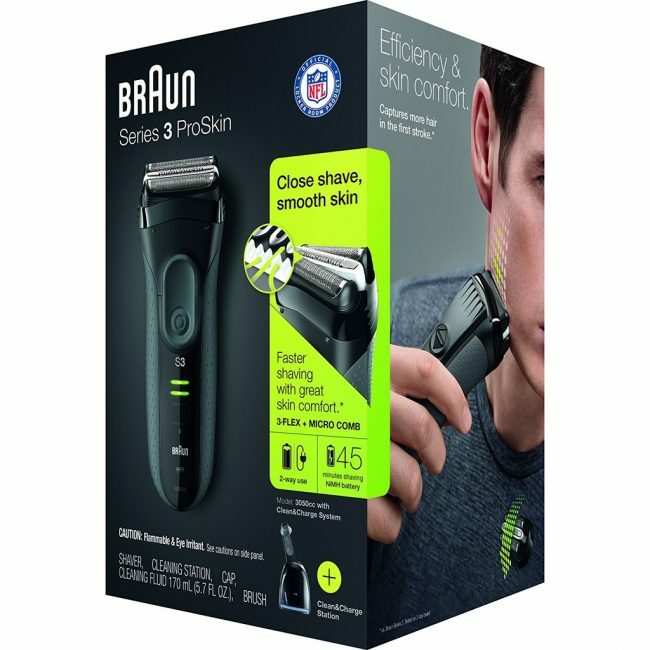 This is a great shaver for those with sensitive or dry skin. The shaver also boasts Gillette’s signature flexiball design to ensure a clean shave at every corner! Frustrated at how many strokes it takes before you get a clean shave? You won’t face this problem with the Braun Series 3 ProSkin Electric Shaver (available on Braun Official Store)! This awesome tool for hair removal in Singapore has not one but three independent trimmers to ensure every strand is captured during your shave. Furthermore, the shaver is designed with a built-in micro comb that guides hairs into the trimmer smoothly, avoiding tugging. This cordless rechargeable electric shaver is also 100% waterproof and is best used with a shaving foam or gel. 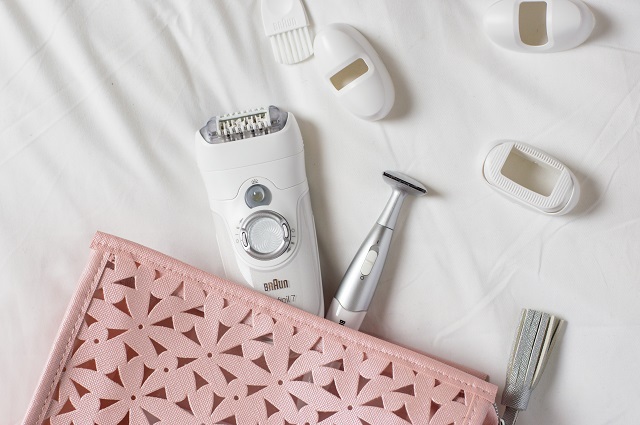 Another great tool for hair removal in Singapore is an epilator, which is a device that grasps and plucks multiple hairs simultaneously. While this may sound painful, epilators can actually be more gentle compared to waxing! Also, unlike shaving, epilators provide long-lasting smoothness as it pulls the hairs out from the roots. It can be used on different body parts, including the bikini line and is believed to reduce hair growth after an extended period of use. It’s advisable to scrub your body before and after epilating to prevent ingrown hairs. It’s also common for skin to appear red after epilating. Simply apply some soothing aloe vera gel and the redness should subside in no time! 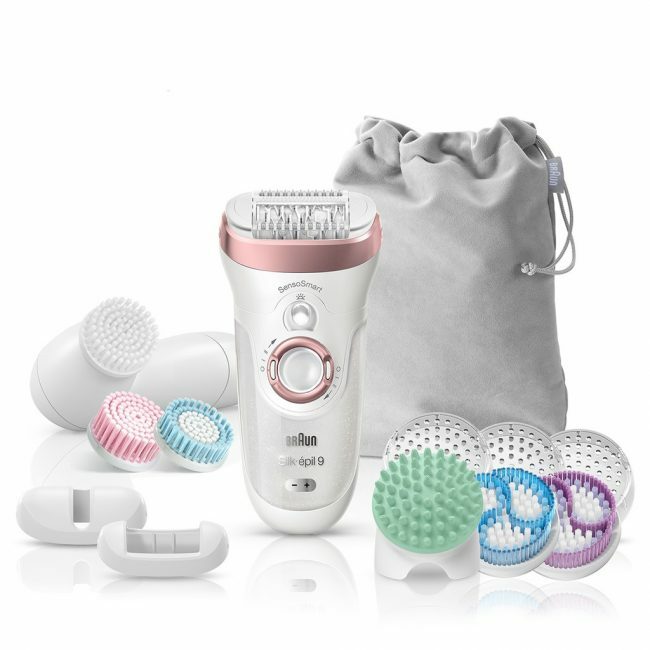 Those prone to ingrown hair and redness will appreciate the Braun Silk-épil 9 SkinSpa SensoSmart Epilator (available on Braun Official Store), which features a four-in-one system containing two exfoliating brushes, a deep massage pad and a high-frequency massage cap. The exfoliating brushes reduce the risks of ingrown hairs while the deep massage pad can be used post-epilation to promote blood circulation and reduce redness. Additionally, the high-frequency massage cap produces pulsating active vibrations to trick your nervous system into feeling less pain — perfect for those with a low pain threshold when it comes to hair removal. 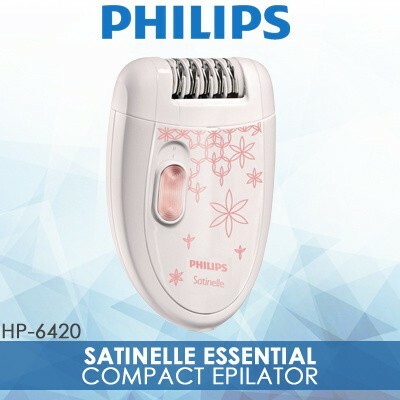 If you’re looking for a more budget-friendly epilator, go for the Philips Satinelle Essential Compact Epilator (available on Home & Life Essentials)! 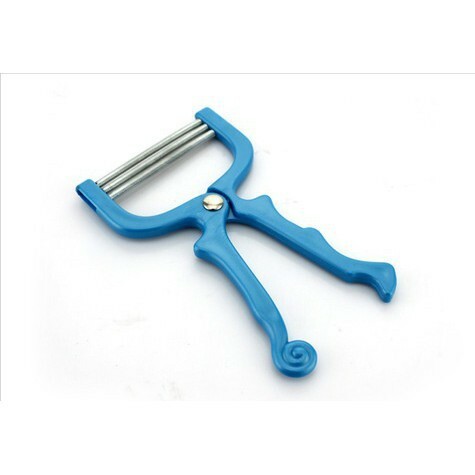 This is a simple and fool-proof tool for hair removal in Singapore, with a rounded design for a comfortable grip and an efficient epilation system that can remove hair as short as 0.5mm. 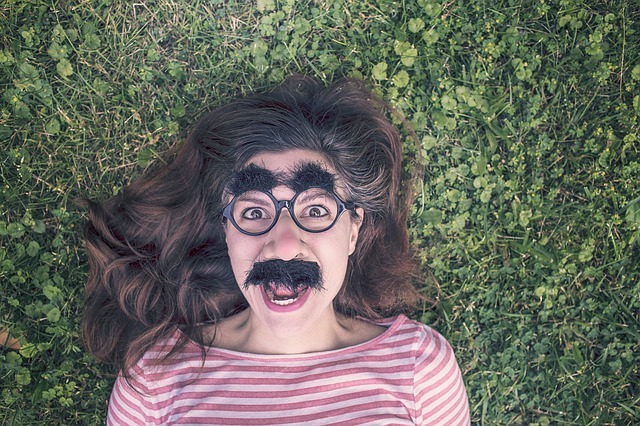 Unlike most guys, facial hair can be an annoying issue for women. However, removing your facial peach fuzz can increase the risks of ingrown hair, which may result in pesky blemishes or nasty breakouts. Thus, it’s important to exfoliate your face after hair removal to avoid clogged pores. When facial hair removal is done properly, you’ll notice that your skin feels silky smooth and that makeup applies like a dream! 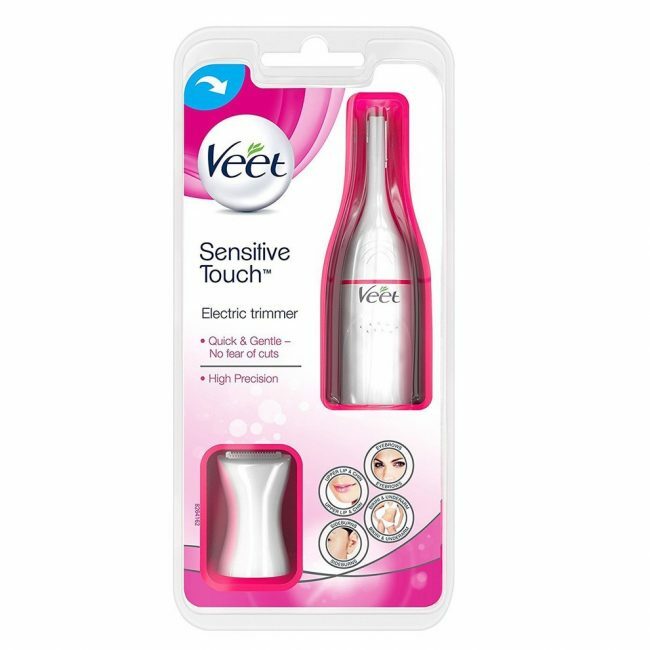 Unlike body shavers which usually have wider blades, the Veet Sensitive Touch Electric Trimmer (available on RB Health & Beauty SG) is specially designed with a smaller trimming head for a precise shave. This tool for hair removal in Singapore can be used effortlessly on the upper lip and even on your brows! Additionally, it comes with a replaceable bikini trimming head so you’re always ready for spontaneous beach dates! Don’t be put off by this intimidating Facial Hair Removal Spring Device (available on TXM), it’s one of the most effective tools for facial hair removal in Singapore that gives long-lasting results! Using this device is easy — simply clamp the handles together and bring the spring to your face. Then, release the handles to capture the hairs and pull the device away from your face. The spring tugs out all the peach fuzz to reveal smoother and more radiant skin! This is a convenient tool for hair removal on-the-go! If you’re looking for a painless hair removal method that’s more long-lasting than shaving, depilatory creams are the perfect solution for you! This method of hair removal in Singapore uses chemicals to weaken the hair follicles, allowing you to simply wipe the hairs away after application. Depilatory creams can be used on the face , bikini lines, underarms and legs. Unfortunately, depilatory creams may still cause ingrown hairs and are usually not recommended for sensitive skin. This is because the chemicals used may potentially irritate and inflame sensitive skin. Beware though due to the chemical based ingredients, depilatory creams tend to give off a strong stench. What if we tell you that removing unsightly hairs on your body can be as simple as taking a bath? 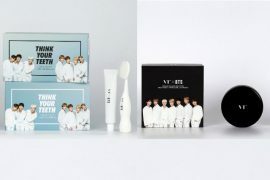 The Etude House Hands Up Smooth In-Shower Hair Removal Cream (available on Smileouppa.SG) is a godsend tool for hair removal in Singapore. Formulated with moisturising plant-derived ingredients such as Aloe Barbadensis leaf juice and Anthemis Nobilis flower extract, all you have to do is simply lather on and wash away this in-shower depilatory cream! 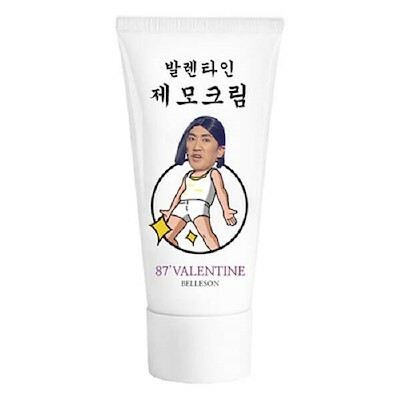 Highly raved by the Korean online beauty community, the 87 Valentine Hair Removal Cream (available on skinsociety.sg) is a quirkily packaged yet effective product specially created for Asian skin! This tool for hair removal in Singapore contains Centella Asiatic extract and Glycyrrhizic acid for maximum skin protection and hydration while eliminating the fuzzies! Despite its gentle formula, this depilatory cream can even remove men’s leg hair in less than 10 minutes! When it comes to hair removal in Singapore, many prefer waxing despite the pain associated with it. Waxing removes hair from the root and the results can last for about two to six weeks depending on your hair growth rate. Additionally, hair tends to grow back softer and finer than before! The pain from waxing arms and legs may be bearable but it can get more intense on delicate areas. Furthermore, even with proper exfoliation, many still experience ingrown hair. Redness and skin irritation are also common post-waxing symptoms. There are two types of wax — cold and hot wax. 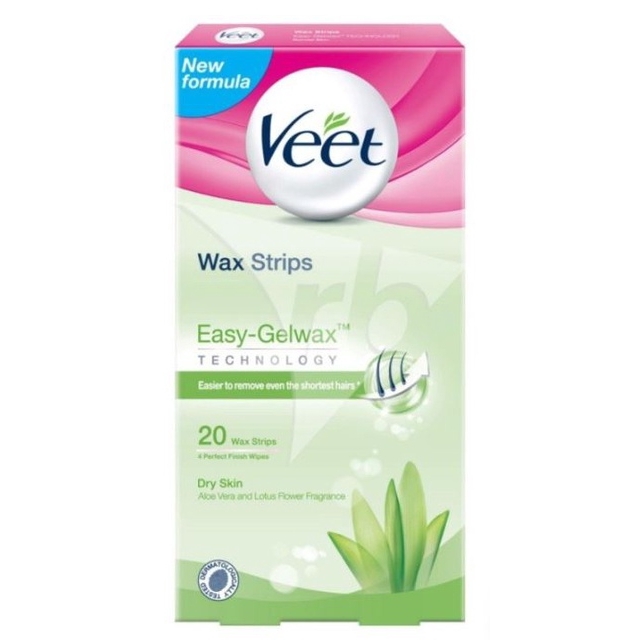 Cold wax is usually pre-applied to strips for convenient application. However, it’s not as effective at removing fine or shorter strands compared to hot wax. On the other hand, hot wax is applied directly onto the skin while still warm. As the wax cools, it grips the hairs. The wax is then ripped in the opposite direction of hair growth to remove every strand. Some of us may find it embarrassing to go to the professionals for waxing. 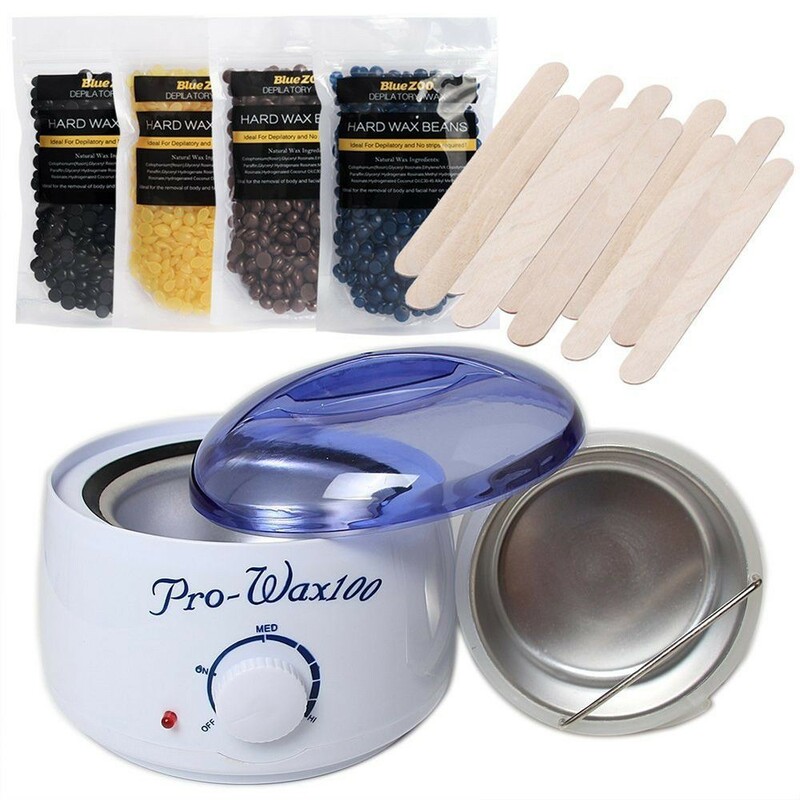 Why not give yourself a Brazilian wax at home with this Hot Wax Warmer Kit (available on rowan.sg) which consists of a wax heater, wax beans as well as wooden applicator sticks to kickstart your hairless journey! Hot wax can be used on legs, underarms, bikini, upper lip and even the chin area! Looking for a simpler hot wax solution? 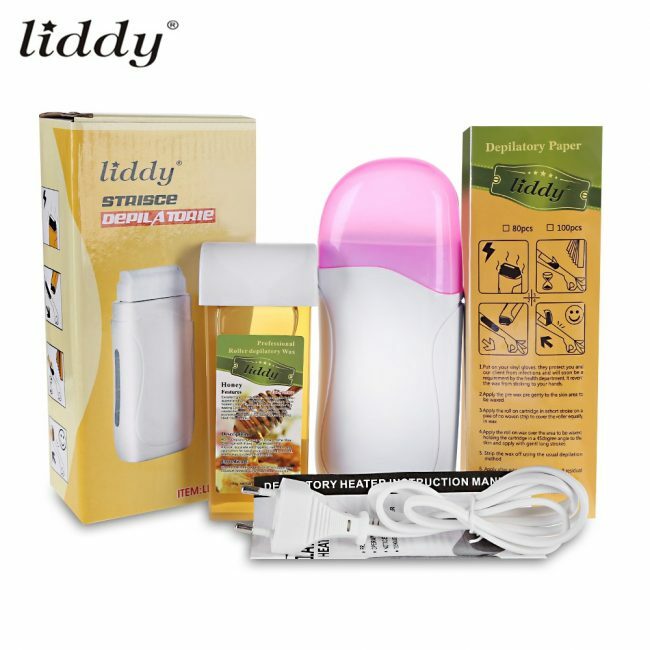 End your search with Liddy 3-in-1 Wax Heater Device (available on lindashop.sg) which operates with a wax cartridge for additional convenience. After heating the cartridge, roll the hot wax over your skin and let it set for about 10 seconds. Then, lay a paper strip over the wax and rip it off against the direction of hair growth. If you’re new to waxing, this is one easy to use hair removal tool in Singapore! Not confident in your hot waxing skills? 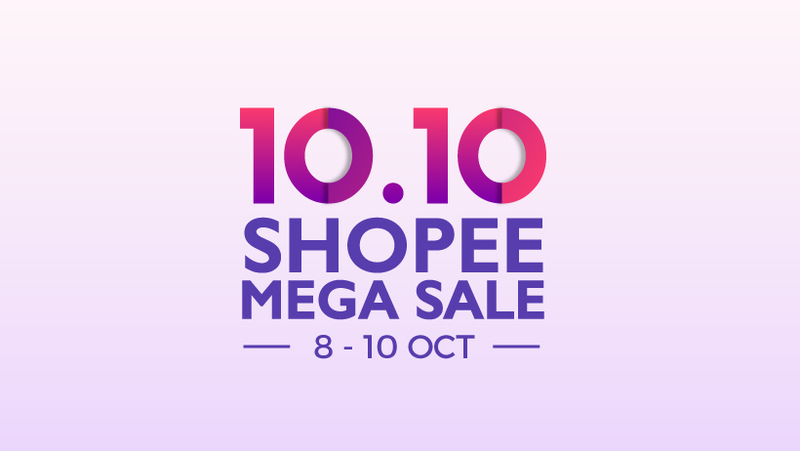 Avoid the mess and opt for the Veet Wax Strips With Easy Grip For Dry Skin (available on S-Mart by Shopee) instead! Specially designed with Easy Grip tabs, this tool for hair removal in Singapore allows you to have a steady hold on your wax strip for the best waxing experience. Additionally, the wax is formulated with aloe vera to provide extra hydration for those with dry skin! Now that we’ve the hairy situation ironed out, it’s time to hit the beach in these affordable swimwear! 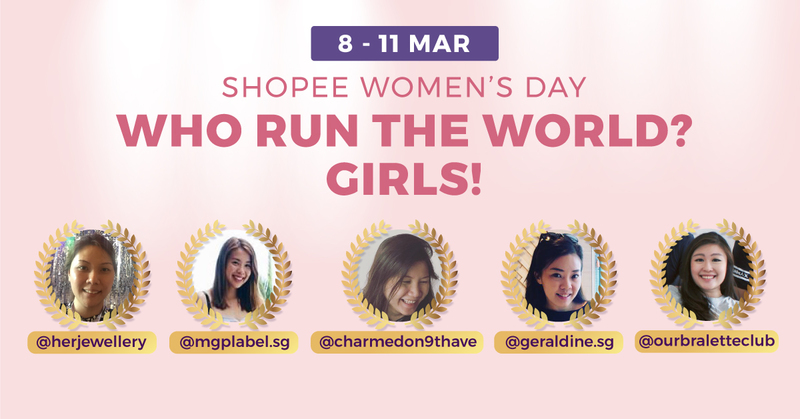 Also, don’t forget to show your skin some TLC after each hair removal session! Incorporate these daily skincare steps for flawless skin and reduce ingrown facial hair with these face exfoliators! Best Facial Cleanser: How To Choose The Right One For Dry, Oily, Combination And Sensitive Skin?